Why and how to read the charts in Acquisition report. Well, that's an easy one. 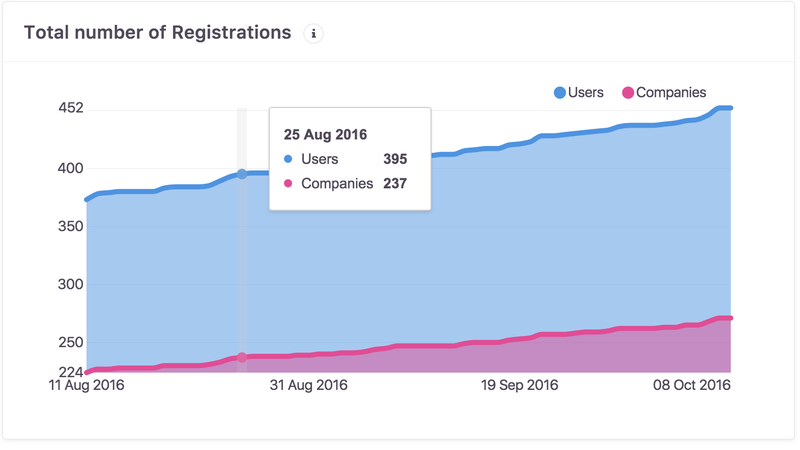 It shows the total number of users/companies created before certain day. This shows total amount of users/companies created in certain period of time, e.g., on a certain day, week or month. Answers the question; on which days of the week are most people signing up? 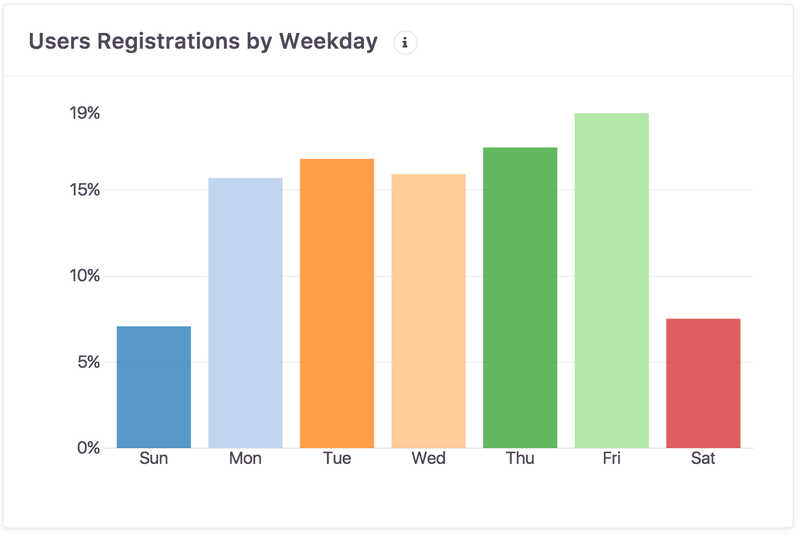 This shows fractions of users' registration dates by day of the week. Note: this chart is not updated with date range change, it's always based on all of your users. How good are you at converting you leads into users? This chart will tell you how you are doing, over time. More on what Leads are can be found here. It shows how many leads that appeared in certain period were converted to users later. 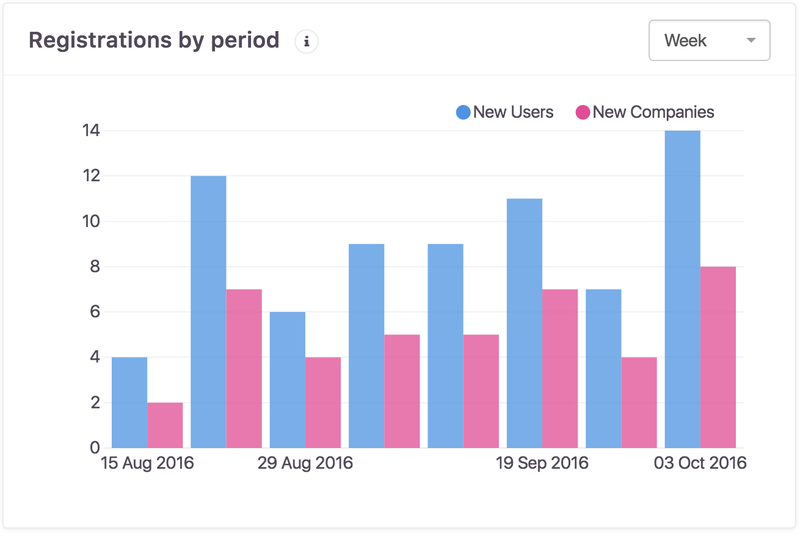 E.g., 2 leads appeared on 1 Sept and on 2 Sept. Then both leads from 1 Sept and one lead from 2 Sept had converted to users on 3 Sept. This scenario is translated to 100% conversion on 1 Sept and 50% conversion on 2 Sept. However, if the unconverted lead will convert later, then conversion on 2 Sept will increase to 100%. 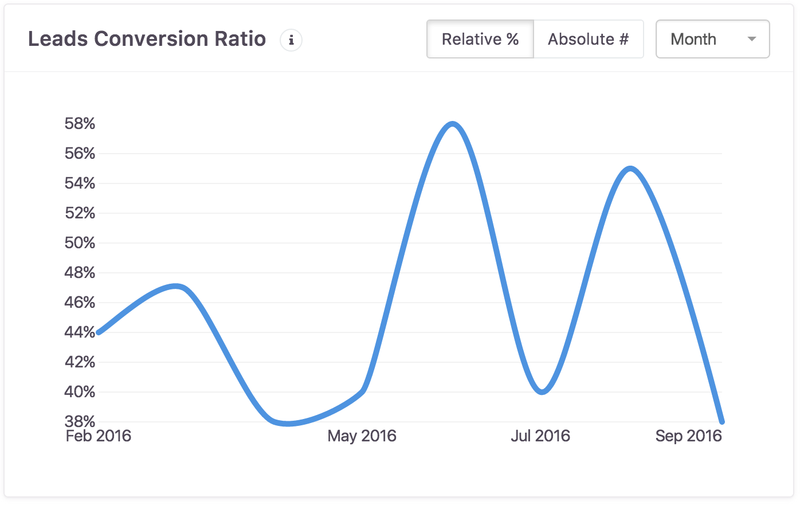 Leads Conversion is also available in absolute numbers, e.g., 2 leads converted on 1 Sept, 1 lead converted on 2 Sept.
You should be aware that volatility of this data inversely depends on period length. E.g., single Week over Week ratios can easily be thousands of percents if you launched some big event: 90%, 110%, 2800%, 90%, 80%; Even Month over Month can be quite volatile, too, so it's best to look at quarter or year data.